Leaders in paediatric psycho-oncology research, we strive to break new ground and foster innovation in childhood cancer care. 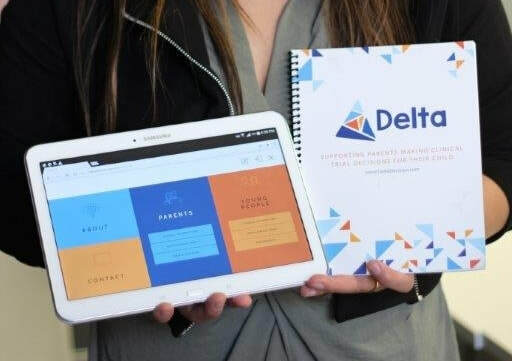 The BSU proudly announces the official launch of the Delta animation, a resource that supports both parents and young people who are deciding whether to enrol in a childhood cancer clinical trial. 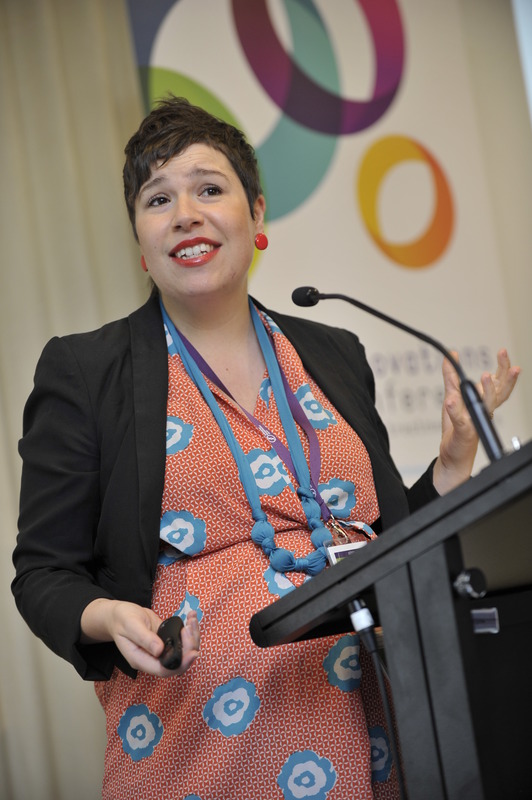 UNSW and BSU PhD candidate Eden Robertson has led the development of this world-first resource. 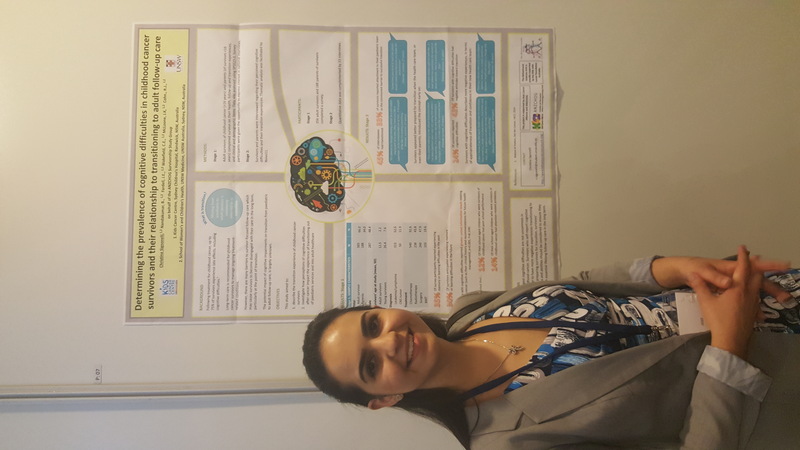 16th-19th June: Ms Brittany McGill and Dr Janine Vetsch presented at the European Meeting on the Psychosocial Aspects of Genetics (EMPAG) at the European Society of Human Genetics (ESHG) conference in Milan. Ms Brittany McGill presented 'I remember the feeling, not the gene: Families' experiences of and attitudes towards genetic testing in childhood cancer'. 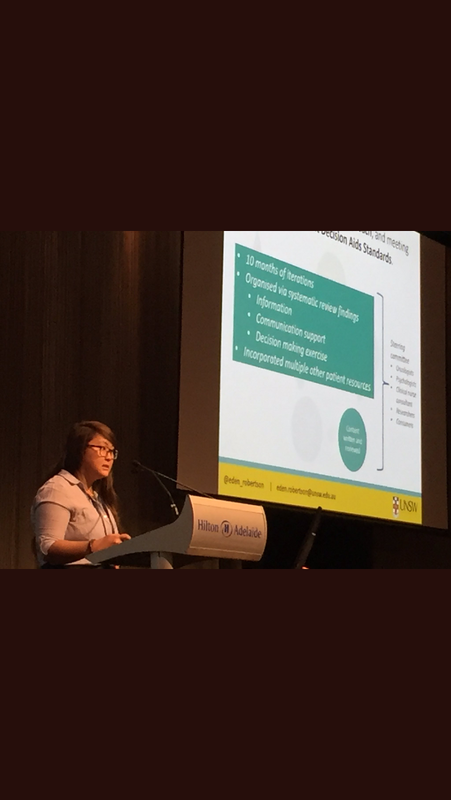 Dr Janine Vetsch presented 'The PRISM-IMPACT study: What are the hopes and expectations of families and health care professionals enrolling in a personalised medicine trial for high risk childhood cancers?'. 14th-16th June: Several members of the BSU team attended the Australian and New Zealand Children's Haematology/Oncology Group (ANZCHOG) Annual Scientific Meeting in Sydney. Ms Eden Robertson presented two studies from her PhD project. Ms Robertson’s oral presentation focused on the development of her online decision aid, ‘Delta’, which aims to support families deciding whether to enrol their child with cancer in a clinical trial (slides available upon request). Her presentation included the results from her eye-tracking study and early pilot results. Ms Robertson also presented a poster about healthcare professionals perspectives of enrolling children with cancer in to an early phase clinical trial. Ms Christina Signorelli presented two posters on overcoming barriers to accessing childhood cancer survivorship care and the lasting impact of surgery for childhood cancer. Mr David Mizrahi presented: 'Can technology be used to increase physical activity levels and improve physical and psychological health in survivors of childhood cancer?'. 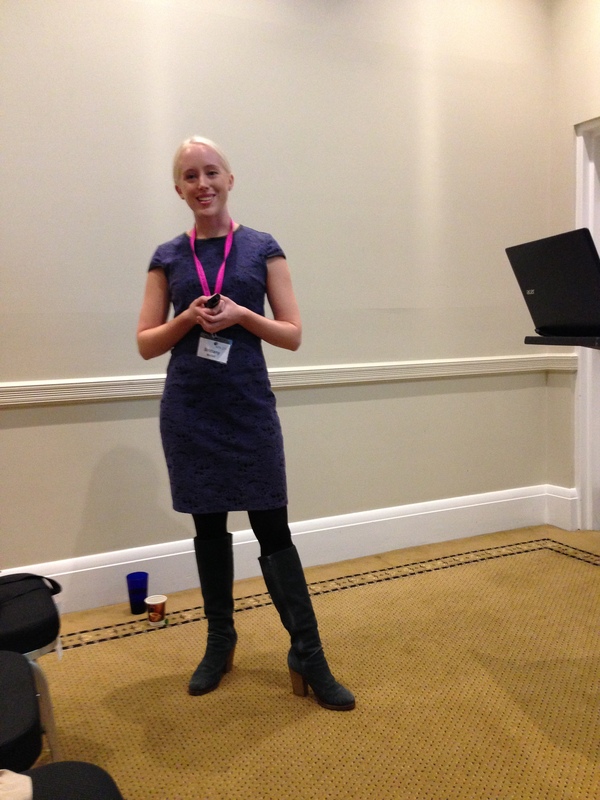 Dr Joanna Fardell presented: 'The development of an online school re-entry website for children and adolescents with cancer'. 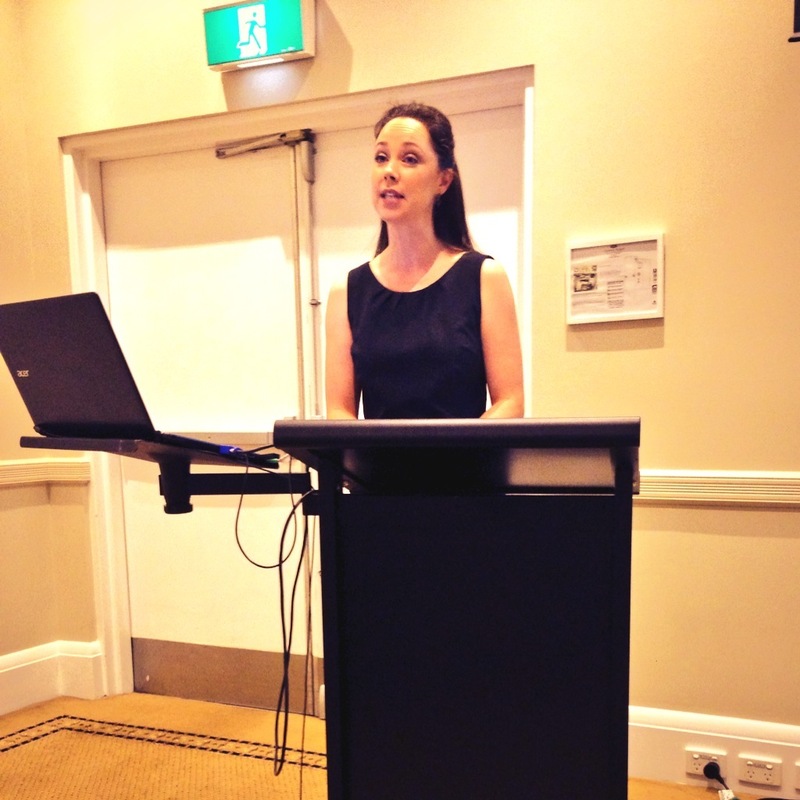 Ms Sarah Ellis presented: 'Improving caregiver sleep and self-care on the paediatric oncology ward'. Dr Lauren Kelada presented: 'Grandparents of children with cancer: A controlled comparison of perceived family functioning'. “The Re-engage project was set up in 2015 with the aim to make sure survivors receive the best possible care after cancer, by improving their knowledge about late effects and engagement with recommended medical follow-up,” said Professor Wakefield. “Risk-based care of young survivors is important, as many late effects of childhood cancer treatment are modifiable through prevention or early detection and intervention. However, providing comprehensive long-term follow-up care to survivors is difficult as their need for specialised care spans decades and life stages,” she said. ​The team, who work out of the School of Women’s and Children’s Health, Behavioural Sciences Unit, Kids Cancer Centre, set out to develop Re-engage as a novel and low-burden offer to young childhood cancer survivors, enabling them the opportunity to identify their personal risk factors and improve their physical and emotional health. ​Dr Ursula Sansom-Daly has received a $60,000 grant from the AYA Cancer Global Accord - a partnership between CanTeen Australia, Teen Cancer America and the UK’s Teenage Cancer Trust - to create training materials to educate healthcare professionals on how to initiate and navigate end-of-life conversations with adolescent and young adult cancer patients. 6th March: Dr Ursula Sansom-Daly was invited to participate in an International Women's Day panel hosted by the Cancer Institute of New South Wales. The panel was led by Dr Veronica McCabe, the Director of Strategic Research Investment at Cancer Institute NSW. 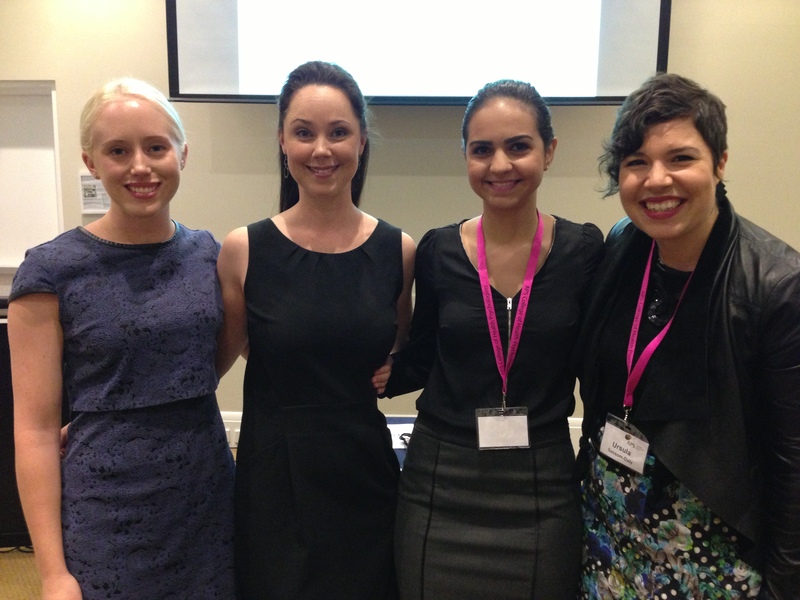 Dr Sansom-Daly was joined by co-panellists Dr Natalie Taylor and Dr Emily Colvin. As women working in cancer research, they spoke about what it is like for women in the cancer research field, including challenges that still exist and where they would like to see things go 10 years from now and beyond. 16th February: Dr Ursula Sansom-Daly was interviewed by SBS's 'Insight' for their article 'What to say to a young person with cancer'. Dr Sansom-Daly shared her professional perspective as a clinical psychologist working with the Sydney Youth Cancer Service. She provided advice for friends and parents of young people with cancer about how to best support and communicate with a young person after they are diagnosed with cancer. 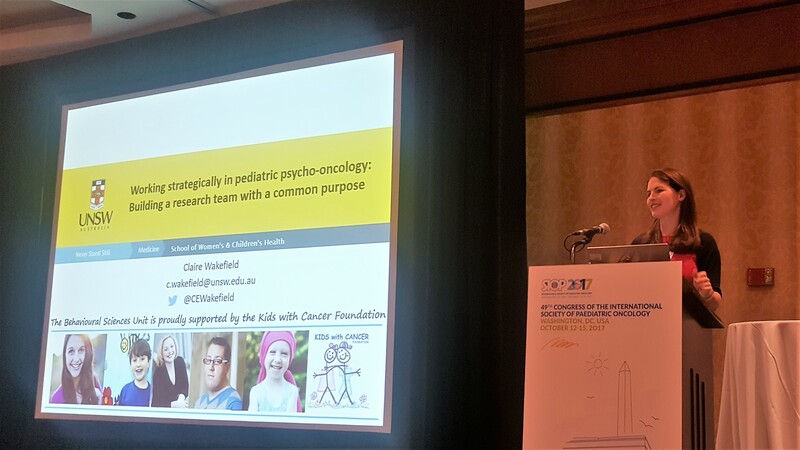 12th October: Prof Claire Wakefield was invited to deliver a talk on working strategically in pediatric psycho-oncology and advice on her experience building a multi-disciplinary team with a common purpose. She also presented on the unmet genetics information needs of survivors and parents as well as a summary of her work on eliciting families' acceptability of patient derived xenographs. PhD Candidates Christina Signorelli and Eden Robertson also presented posters. 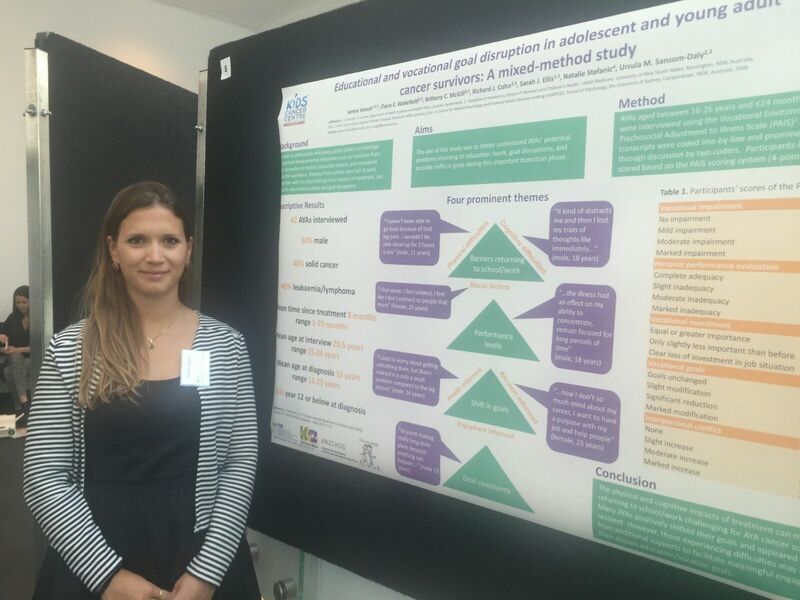 Ms Signorelli's poster detailed survivors' and parents' preferences for different models of survivorship care, whilst Ms Robertson's poster summarised the development and testing of a new online decision aid to assist families deciding whether to enrol their child in a clinical trial. 20th August: Dr Ursula Sansom-Daly was involved in several media pieces during her 2 week residency in the ABC studios. She published an article highlighting the perspectives of adolescent and young adults and the challenges they face during and after cancer treatment. ​She starred on The Science Show voicing common things young people say about other people’s reactions to their cancer. She was also involved in an interview on the radio show All in The Mind, discussing the challenges and experiences of life after cancer with two previous Recapture Life participants. August 3: Tristan Parry an animator and illustrator has won major awards for his depiction of the book 'By My Side'. The book is comprised of interview excerpts from researcher Leigh Donovan's PhD at UNSW and explores the stories and needs of parents whose children have died from cancer. It was created with support from the Kids Cancer Centre in collaboration with Red Kite. 1st August: Clinical Psychologist Brittany McGill was interviewed on Chanel 7's 'The Daily Edition' alongside Tracey Newnham, mum and author of a children's book teaching kids about grief and how to cope with it, titled "In the Rainbow". 29th July: Dr Ursula Sansom-Daly was interviewed for the ABC's 'The Science Show' on her work aimed at developing online psychological support services for young people following their cancer treatment. 24th July: Dr Joanna Fardell was interviewed by The Kids' Cancer Project on the progress of the 'Ready, Steady, School' Project, helping children with cancer return to school in the best way possible. 14th July: Dr Ursula Sansom-Daly was interviewed for the ABC's 'Life Matters' segment on being diagnosed with cancer as a young adult. 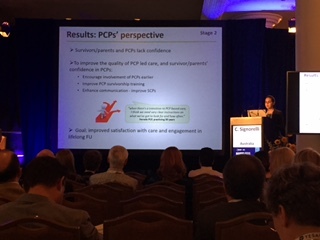 ​22nd June: Ms Christina Signorelli presented a poster at the MASCC/ISOO Annual Meeting on Supportive Care in Cancer, held in Washington DC, United States, on survivors and parents confidence in GPs' ability to deliver survivorship care, and GPs' confidence in doing so. 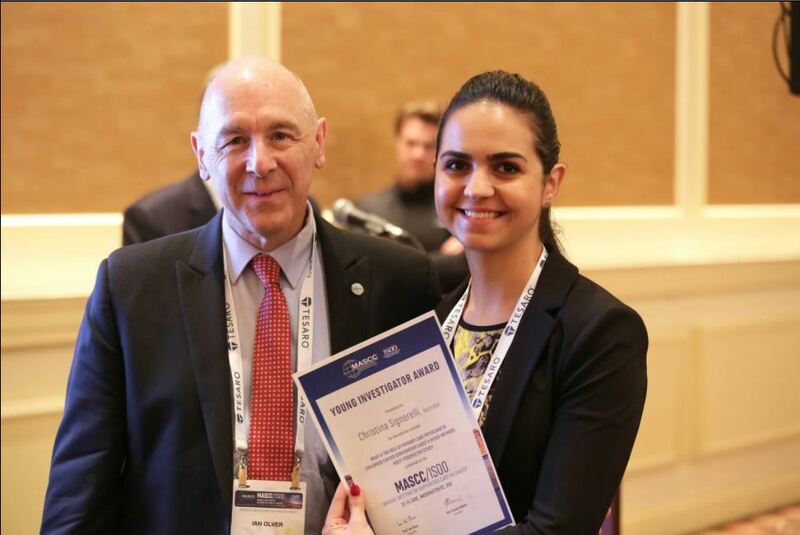 She was awarded the MASCC/ISOO Young Investigator Award for being 1 of the top 10 abstracts submitted to the conference. 19 June: Prof Glenn Marshall was interviewed for the ABC's "AM", on findings of the EduSwell study which highlighted the need for greater educational support for children with chronic illnesses, including cancer. 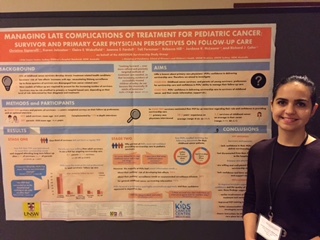 17th June: ​Ms Christina Signorelli presented a poster at the 15th International Conference on Long-Term Complications of Treatment of Children and Adolescents for Cancer, held in Atlanta GA, United States, on the role of primary care physicians in survivorship care. 17th June: ​Dr Janine Vetsch and Ms Eden Robertson presented at the Australian and New Zealand Children's Haematology/Oncology Group Annual Scientific Meeting in Adelaide. Dr Vetsch presented the results of a systematic review on the health-related quality of life of ALL patients and survivors, while Ms Robertson presented on the complexity of decision making in paediatric oncology and the development of Delta, a decision aid support families making clinical trial decisions. Prof Claire Wakefield also participated in the Cancer Predisposition Syndromes Panel Discussion. 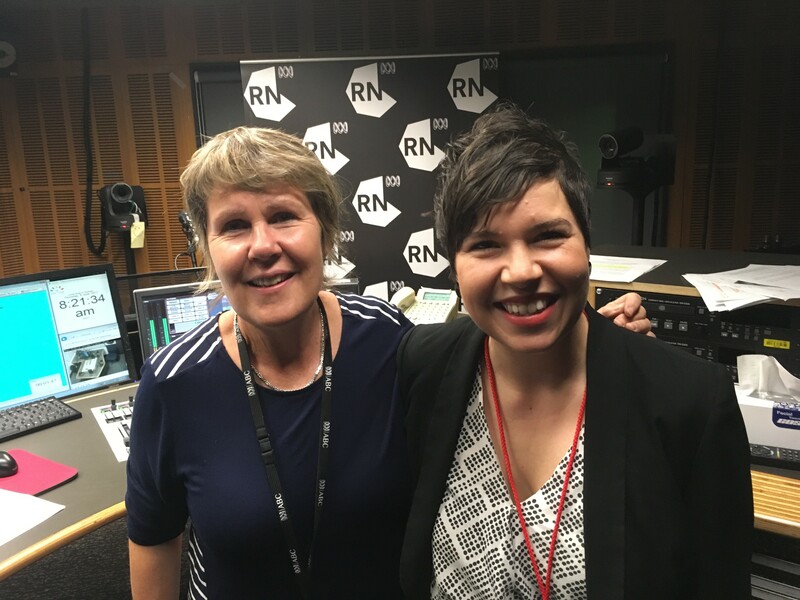 8th June: Dr Ursula Sansom-Daly was interviewed for the ABC's 'RN Breakfast' by Fran Kelly on being one of the winners of the 2017 Top 5 under 40 following her research on adjusting to life after cancer as a young person. 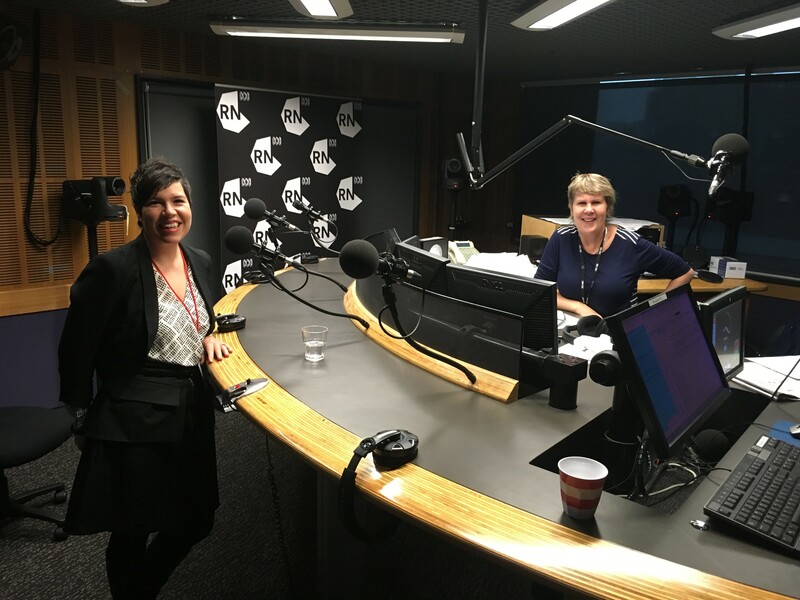 2nd April: Prof Claire Wakefield was interviewed for the 2ser's (107.3FM) "Think: Health" Podcast, on the BSU's work evaluating the impact of cancer on survivors and the whole family unit. 9th April: Prof Claire Wakefield was interviewed for the 2ser's (107.3FM) ​"The Daily", on the stigma around sickness and health, particularly of having a serious or chronic illness. lymphoblastic leukemia, recently published in Paediatric Blood & Cancer. Ms Christina Signorelli also presented the team's work in survivorship, leading to the development of a new intervention to re-engage survivors into essential, life-long care. 22nd-23rd September: The BSU was well represented at the fifth Sydney Cancer Conference, themed “Bridging research and practice”. A/Prof Claire Wakefield presented the team's work in the area of genetics and cancer, as did Janine Vetsch (childhood cancer survivors' vocational outcomes), Lauren Touyz ('Re-boot' healthy eating intervention), Claire Wakefield (on behalf of Sarah Ellis; sleep intervention for parents on the ward) and Alistair Lum (educational outcomes and resources for survivors). Excitingly Sarah Ellis won an award for her poster, and Alistair Lum for his presentation. 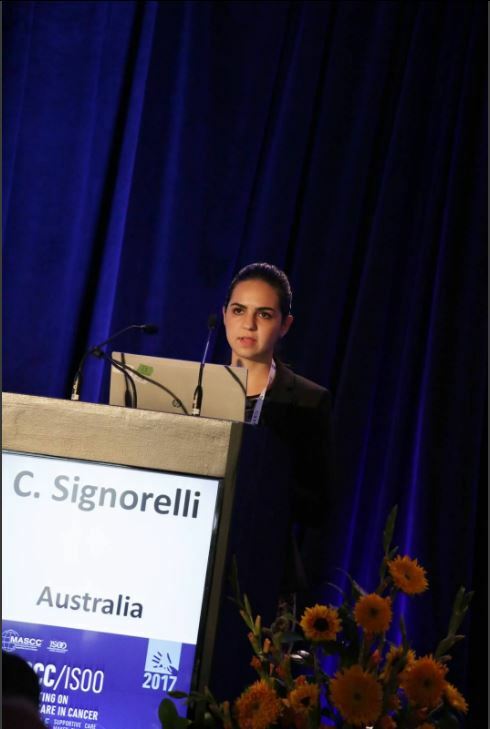 22nd-23rd September: Ms Christina Signorelli attended the fifth European Symposium on Late Complications after Childhood Cancer, held in Copenhagen, Denmark. 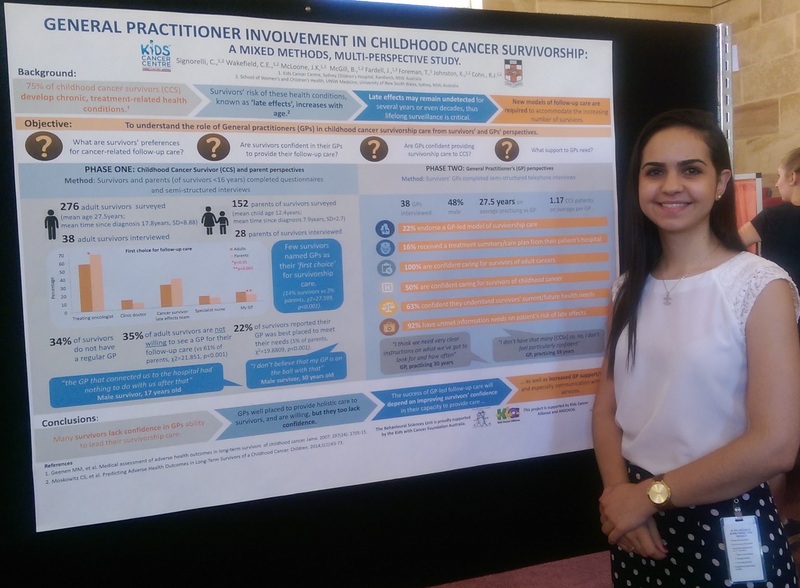 She presented a poster on the cognitive difficulties in childhood cancer survivors following treatment, and their relationship to transitioning from paediatric to adult care, and delivered an oral presentation on survivor-reported barriers to receiving long term follow-up care. ﻿9th September: The Re-engage study is featured on The Kids Cancer Project website, following an interview with A/Prof Claire Wakefield on the recently launched intervention study, aimed at reconnecting survivors to the essential survivorship care that they need. 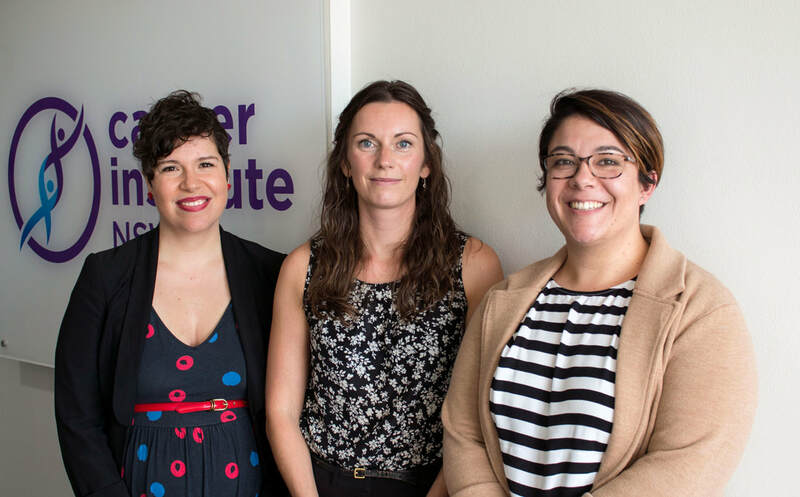 2nd September: Cancer Council NSW interviews the BSU's A/Prof Claire Wakefield about our Survivorship Program, consisting of six interventions targeted at survivors and families across the cancer trajectory: from diagnosis to long term survivorship or bereavement. ﻿﻿​﻿26 August: In recognition of Daffodil Day, Cancer Council NSW (CCNSW) featured the BSU's program of work in cancer survivorship in the Daily Telegraph, The Huffington Post and SBS Life. From this, the Program was also mentioned in 2GB news, and A/Prof Wakefield was interviewed live about it on 2UE’s afternoon show with Tim Webster, on ABC Statewide Drive. 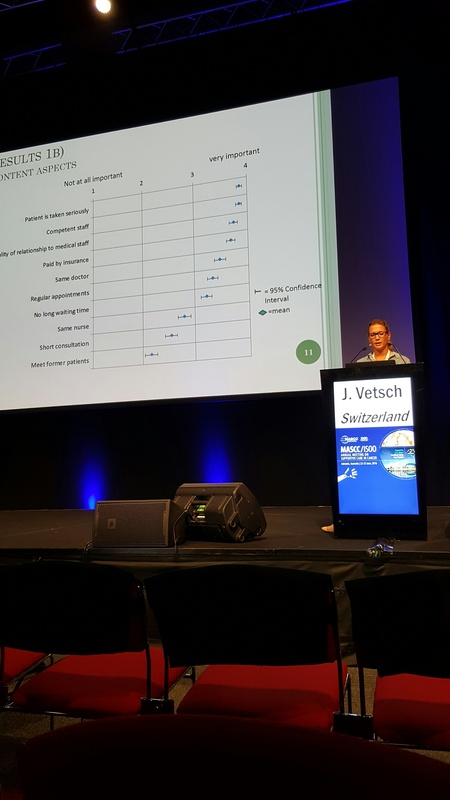 21-23 June: Ms Christina Signorelli, Ms Janine Vetsch, and Ms Gabrielle Georgiou presented at the Multinational Association of Supportive Care in Cancer (MASCC) Annual Meeting, marking 25 years this year. 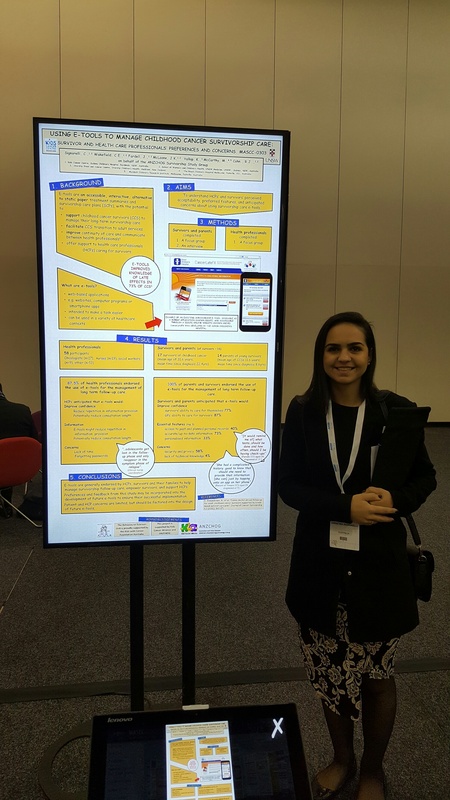 Ms Signorelli presented three posters on childhood cancer survivors' health behaviours, general practitioners' role in survivorship care, and the use of e-tools for follow-up care management. Ms Vetch presented a poster on childhood cancer survivors' information needs, followed by an oral presentation on models of childhood cancer survivorship follow-up care. Ms Georgiou also had a poster on survivors' and parent's perspectives on genetic testing for late effects, based on findings from research ​recently published in Cancer. ​22-25 June: Dr Ursula Sansom-Daly, Ms Brittany McGill, Ms Sarah Ellis and Ms Emma Doolan attended the World Congress of Behavioural and Cognitive Therapies (WCBCT) in Melbourne. Dr Ursula Sansom-Daly and Ms McGill presented in a symposium titled ‘Navigating the impact of serious illness across the family system using evidence-based therapeutic approaches’. 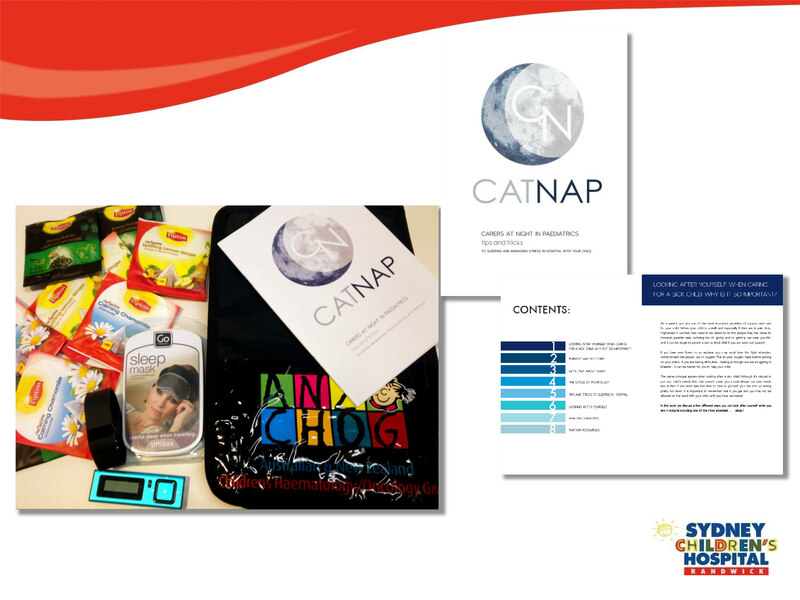 Ms Ellis presented her PhD project CAT NAP (Carers AT Night in Paediatrics), a CBT-based intervention designed to improve sleep in parents of a child with cancer, which is currently being trialled at Sydney Children's Hospital. 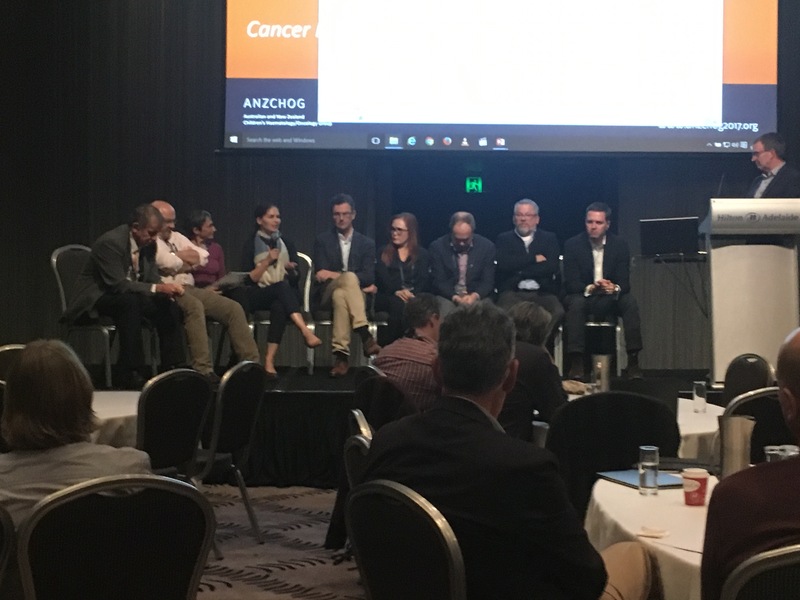 ​22-25 June: Six BSU team members presented at the Australian and New Zealand Children’s Haematology and Oncology Group’s (ANZCHOG) Annual Scientific Meeting (ASM) in Cairns. 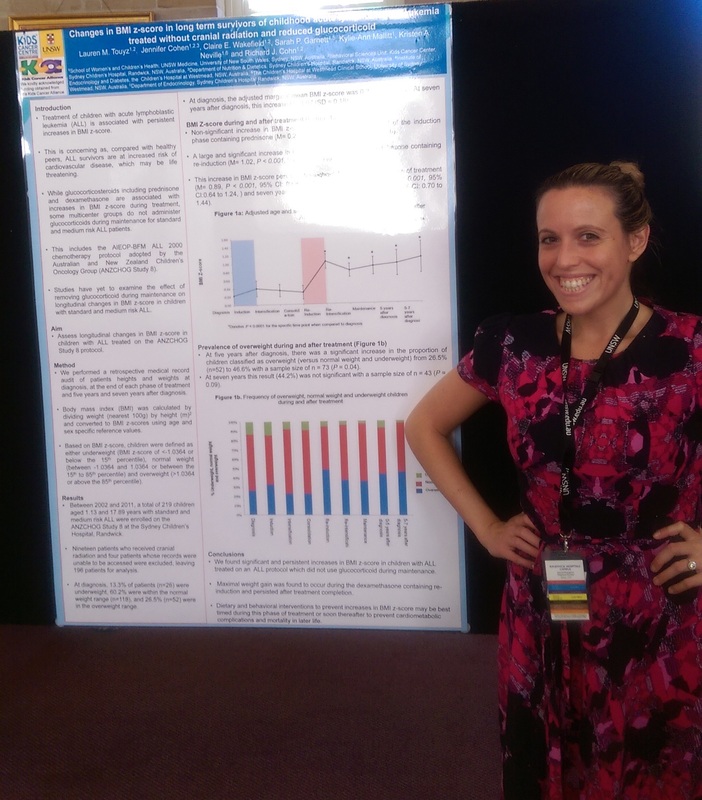 A/Prof Claire Wakefield presented on E-health interventions and genetic testing for late effects of childhood cancer, and a poster on response rates in psycho-oncology research. 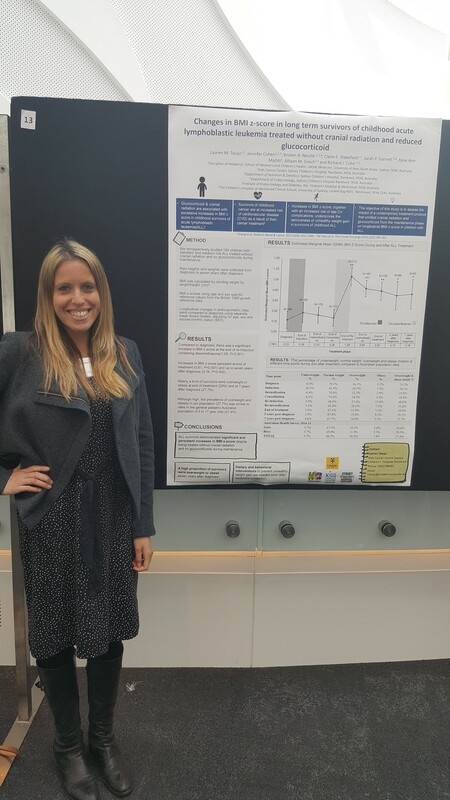 Dr Joanna Fardell presented on the impact of decisions regarding enrolment in early phase clinical trials for bereaved parents and won a prize for the best oral presentation for her talk on long-term childhood cancer survivors’ and parents’ information needs. Dr Richard Mitchell gave a talk on improving outcomes for paediatric patients undergoing haematopoietic stem cell transplants and a poster reporting on paediatric early phase clinical trial recruitment. 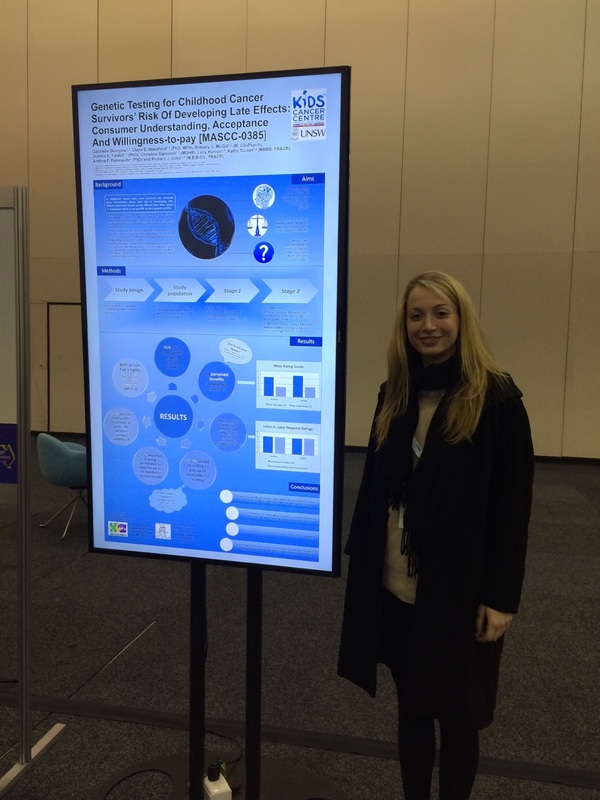 Ms Eden Robertson presented a rapid fire poster presentation on health literacy in AYAs and a poster outlining the development of a decision aid for parents contemplating early phase clinical trials. Mr Alistair Lum presented a poster highlighting the importance of teacher support on engagement with school, quality of school life, and distress for students diagnosed with cancer. Ms Mary Burns presented a talk on the evaluation of an AYA advanced care planning tool (Voicing my CHOiCES™) for clinical use with Australian AYAs with cancer. 20 May: A/Prof Wakefield is interviewed about her success in paediatric cancer survivorship research since being awarded a grant by the Leukaemia Foundation for early career researchers. ﻿﻿​﻿18 December 2015: A/Prof Claire Wakefield's recently funded body of work for childhood cancer survivors was recognised at news.com.au among other funding for priority research projects in this area. The program of work led by A/Prof Wakefield is supported by Cancer Council New South Wales (with the support of the Estate of the Late Harry McPaul), and will include six separate programs covering interventions to maintain engagement with essential cancer follow-up, and healthy lifestyle, and mental and social wellbeing. ﻿﻿﻿20 November 2015: Ms Lauren Touyz and Ms Christina Signorelli delivered poster presentations at the 43rd Annual Tow Research Awards Day. Ms Touyz presented on survivors of Acute Lymphoblastic Lypmhoma changes in BMI z-scores following various treatments. Ms Signorelli's poster on the role of general practitioners in childhood cancer survivorship care also won the best poster prize. 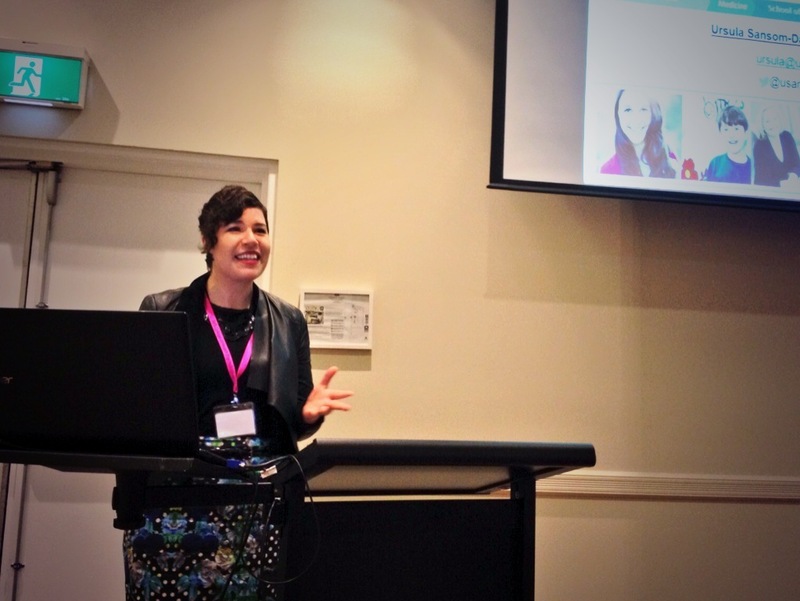 ﻿15 October 2015: Dr Ursula Sansom-Daly presented at the 2015 Innovations in Cancer Treatment and Care Conference on the implementation of online mental health supports into community-based survivorship care for adolescents and young adults with cancer. ﻿﻿﻿August 2015: Dr Ursula Sansom-Daly was interviewed by Dr Bradley J. Zebrack, of the University of Michigan, regarding the provision of supportive care services to meet the unique needs of adolescents and young adults with cancer. The interview can be viewed onThe ASCO Post, featured in a special video series of interviews by and with leaders in oncology. 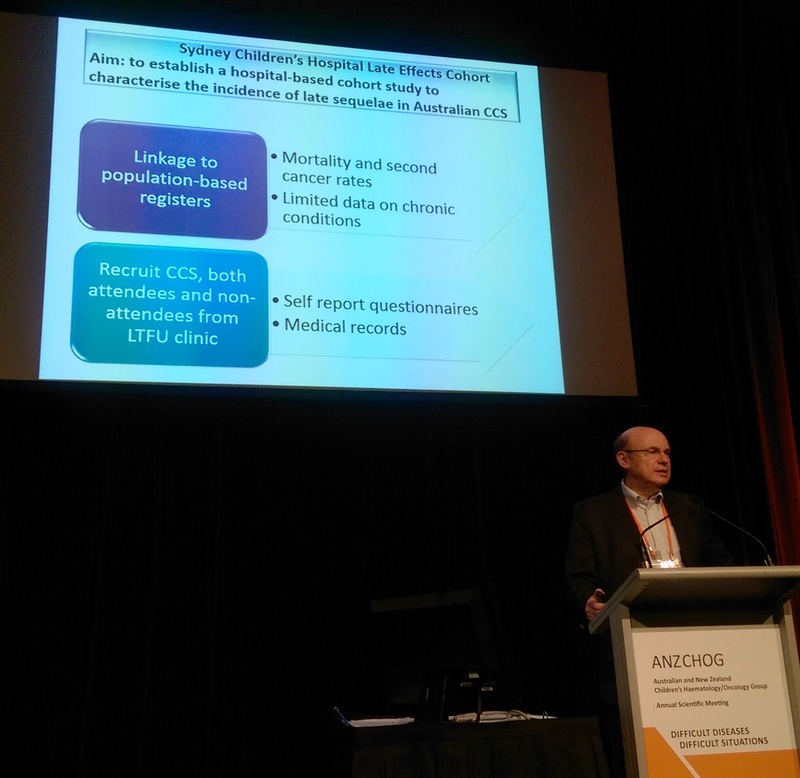 18-19th June 2015: A/Prof Richard Cohn and Ms Christina Signorelli presented at ANZCHOG’s 2015 Annual Scientific Meeting held in Fremantle, Perth. 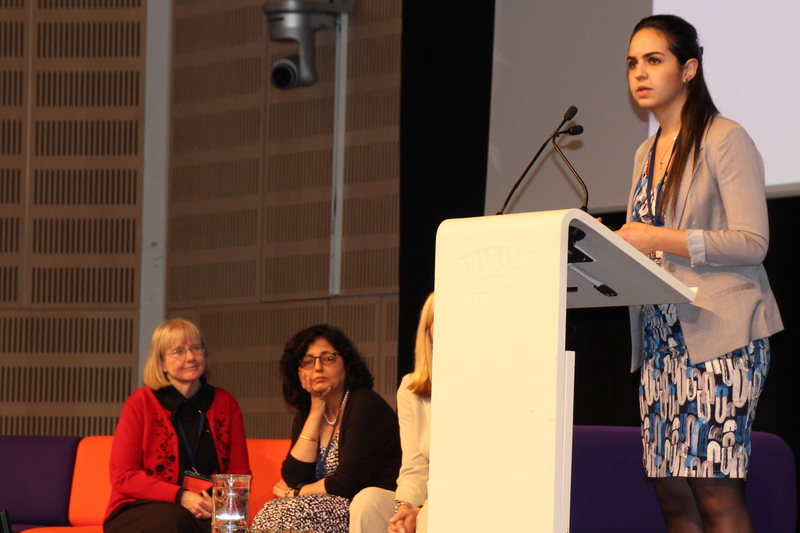 The theme of the conference was "Difficult Diseases, Difficult Situations". 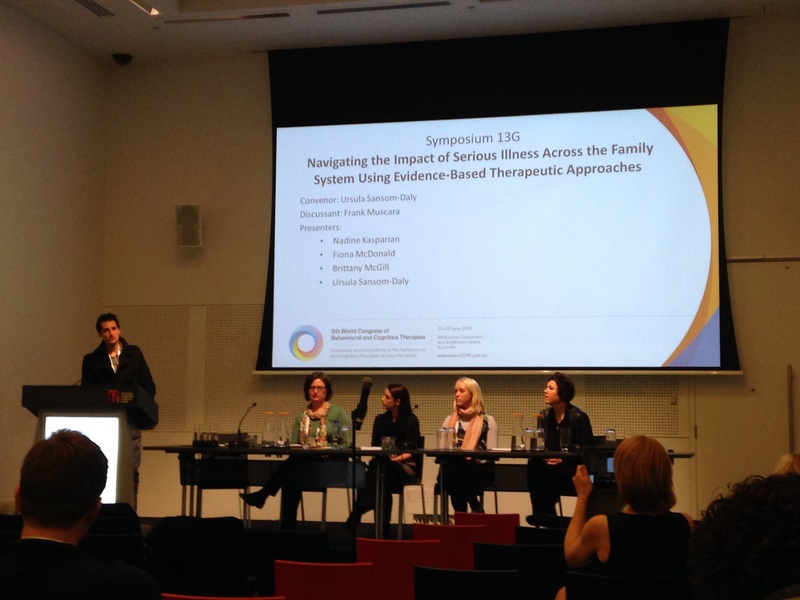 A/Prof Cohn was invited to present at the transition workshop on the 18th, followed by his talk on the 19th at the Survivorship session on current the status of paediatric survivorship research in Australia. Ms Signorelli also presented in this session on the role of general practitioners in paediatric cancer survivorship care. 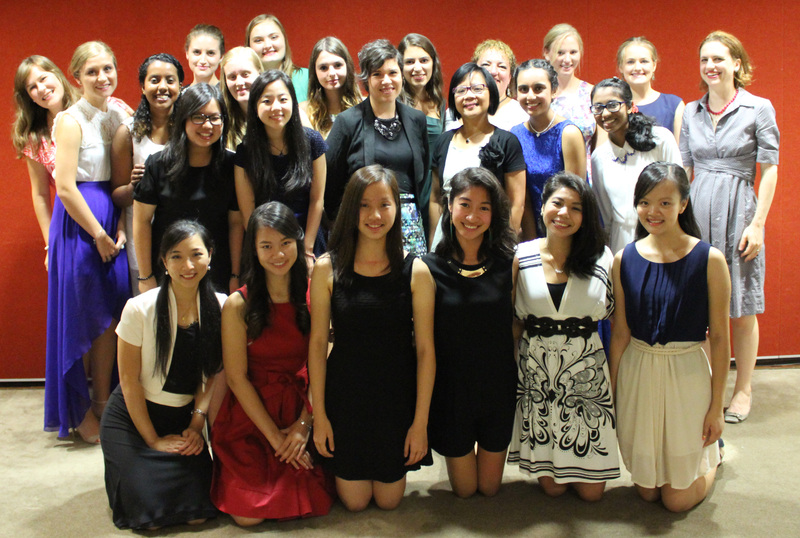 11 March 2015: Dr Ursula-Sansom Daly presented a talk on work-life balance to the young ladies of the UNSW Creston College as a part of the "Meet Your Mentor" series. 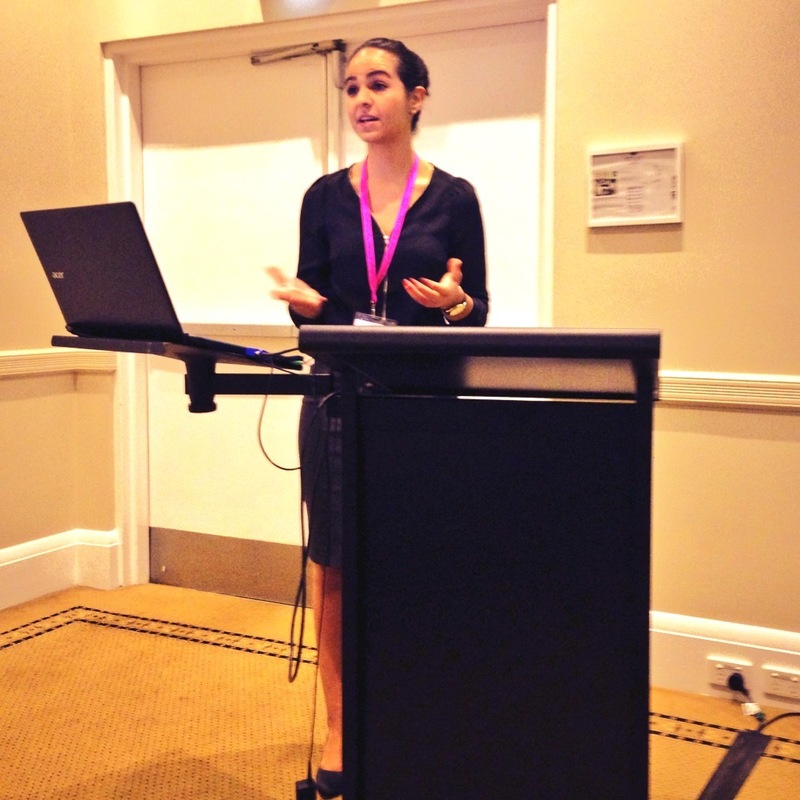 1-2 December 2014: A/Prof Cohn presented on the long term follow-up study at the Clinical Oncology Society of Australia's 41st Annual Scientific Meeting, held in Melbourne. Following the conference, A/Prof Richard Cohn was interviewed on ABC Radio National regarding the study. Just one day later, Dr Claire Wakefield was interviewed by Western Australia's Paul Murray from 6PR Drive, on the same topic. 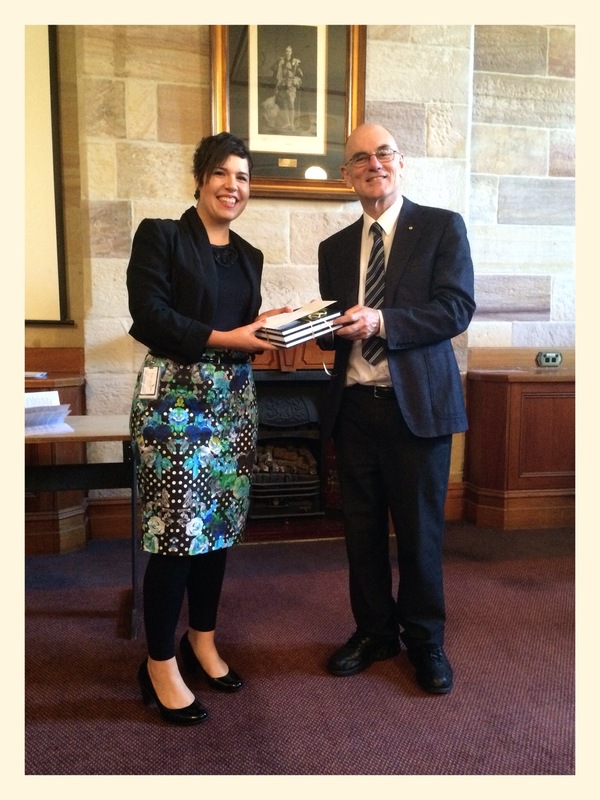 28 November 2014: Dr Ursula Sansom-Daly recently received the Open Senior Award for her presentation on the use of e-health to promote resilience in adolescent and young adult cancer survivors, at the TOW research awards. The award was open to recent who Masters or doctorate graduates and valued at $3000 (of which $2000 is to support travel to an international conference). 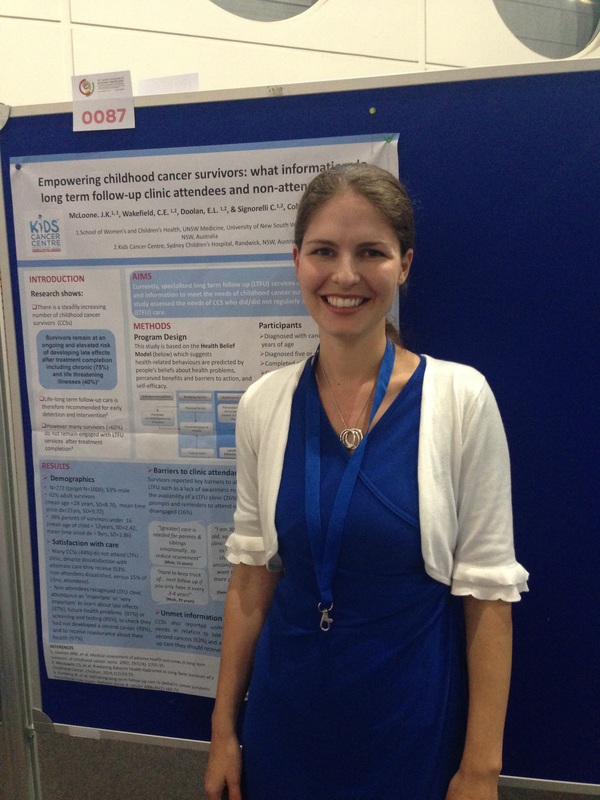 22 October 2014: Dr Claire Wakefield recently presented a poster at the International Psycho-Oncology Society (IPOS) 16th World Congress on the 22nd October. 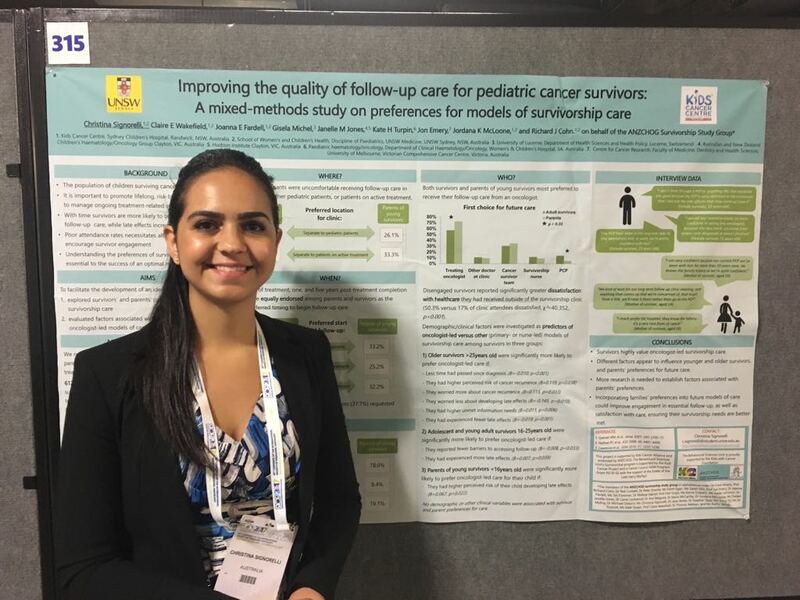 The poster focused on empowering childhood cancer survivors, in particular what information survivors who and do not attend long term follow-up care need. 22 August 2014: Dr Claire Wakefield and Ursula Sansom-Daly won prestigious awards at the annual Premier's Awards for Outstanding Cancer Research which honours the achievements of those who work across the cancer research space to lessen the impact of cancer. Dr Wakefield was awarded Outstanding Cancer Research Fellow of the Year for her work on the prevention and management of psychological distress in families affected by paediatric cancer. 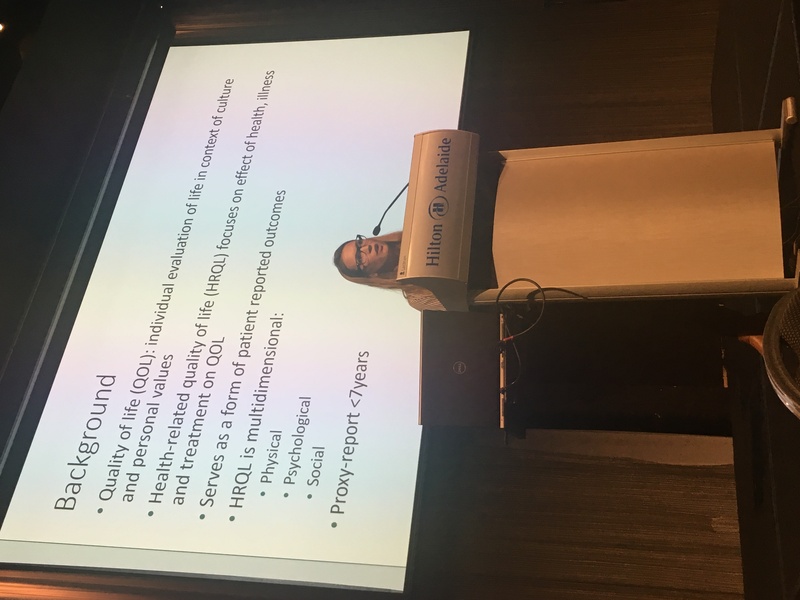 Ursula Sansom-Daly took out The 'Rising Star' PhD Award for her doctoral research addressing a major gap in adolescent and young adult (AYA) psycho-oncology in Australia, through the development of a novel coping tool for AYAs. 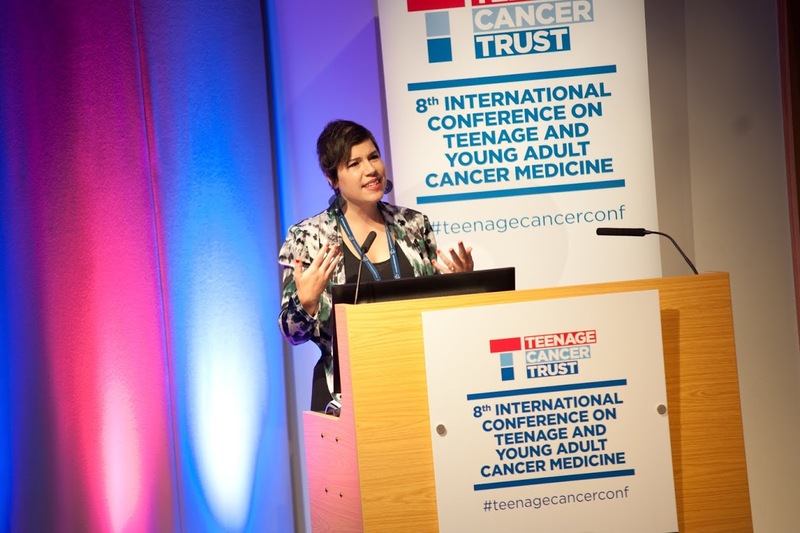 7 July 2014: Ursula Sansom-Daly was invited to present at the Teenage Cancer Trust (TCT) International Conference. Ursula shared her research on Recapture Life, relating to the harnessing of e-health to promote resilience in survivorship. 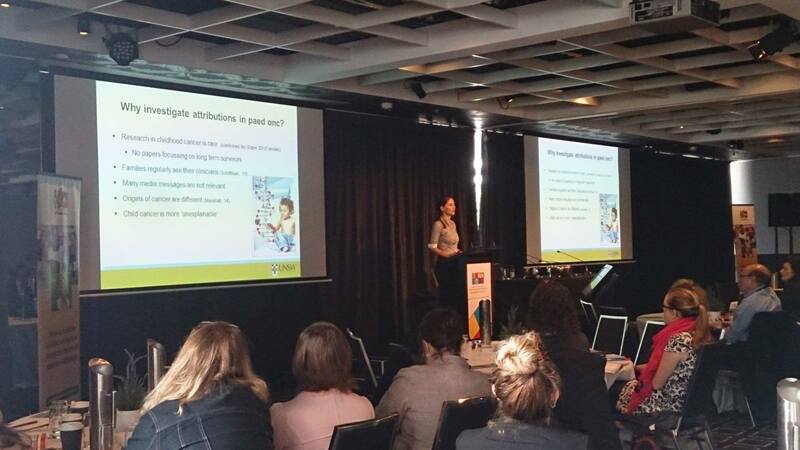 20 June 2014: Dr Claire Wakefield was invited to present at the plenary sessions at ANZCHOG’s 2014 Annual Scientific Meeting held in Sydney at Doltone House. Her study asked the question “Do families of childhood cancer survivors want genetics services and information?” Dr Wakefield found few families attribute cancer to genetic causes, with concerns focused on recurrence and risk to other family members. Most families believe genetic information to be important however the vast majority did not receive any of this information. This may contribute to reduced overall satisfaction with care. 16 April 2014: Dr Claire Wakefield and the BSU are featured in an article in the Daily Mail UK after attending an invitation-only welcome reception with the Duke and Duchess of Cambridge as part of their Royal tour down under. 22 November 2013: Dr Jordana McLoone is interviewed on Health Professional Radio about "Developing a model of care for the long term follow-up of childhood cancer survivors"
13th November 2012: Dr Claire Wakefield is invited to speak at the IPOS 14th World Congress. May 2012: Ms Ursula Sansom-Daly talks about the Recapture Life program on Radio National. Spring 2011: Dr Claire Wakefield writes about the changing face of academia in Uniken. 4 December 2011: Read more about Dr. Wakefield and Ms Sansom-Daly's evidence of the effectiveness of skills based interventions for youth with chronic illnesses.